Medical University of Vienna (Austria). Although this intracellular bacterium has first been isolated and analyzed in 1999, several unanswered questions remain. Furthermore, recent years have shown an increasing prevalence of CNM infected ticks in contrast to a stable prevalence of other tick-borne pathogens. Therefore, awareness of this emerging infectious disease appears warranted. The objective of this article is to summarize the current knowledge and to give some guidance for the diagnosis of human neoehrlichiosis and adequate treatment of infected patients. In the past, neoehrlichiosis was considered to affect only immunocompromised patients. While the severity of the disease appears higher in subjects with a deficient immune system, there is growing evidence that CNM may also infect immunocompetent and otherwise apparently healthy individuals. A characteristic finding is chills and nightly sweats with a high and remitting fever. Despite constitutive symptoms like headache, malaise, vomiting, nausea, myalgia and neck stiffness, further complaints may include localized or migrating pain affecting the temporal/mandibular joints, the neck, knees, elbows, ankles, muscle of the trunk or extremities and skin rashes resembling erythema nodosum or erysipelas. Long-lasting systemic inflammation can cause weight loss. A high incidence of thromboembolic and vascular events has been reported in patients suffering from human neoehrlichiosis, but it is not clear whether these complications result from infected and/or inflamed vascular endothelial cells. The pathogen of human neoehrlichiosis is CNM, which is an emerging bacterium within the genus Neoehrlichia that belongs to the family of Anaplasmataceae. This family includes six genera: Ehrlichia, Anaplasma, Wolbachia, Neorickettsia, Aegyptianella and Neoehrlichia. The bacterium was initially isolated on the Japanese island Mikura and is closely related to C. Neoehrlichia lotoris, which has been isolated solely from raccoons so far. The term Candidatus indicates that this bacterium has not been successfully cultivated yet, neither in endothelial cells nor in other cell lines or culture systems. Like all other members of the family Anaplasmataceae, CNM is a Gram negative obligate intracellular bacterium and has been detected in leukocytes of infected persons but the exact target cells in humans have not been identified with certainty. CNM can be found in ticks and rodents in Europe and Asia but not in the US, UK and Australia. In Austria, the prevalence of CNM infected ticks collected 2002 and 2003 was 4.2%. 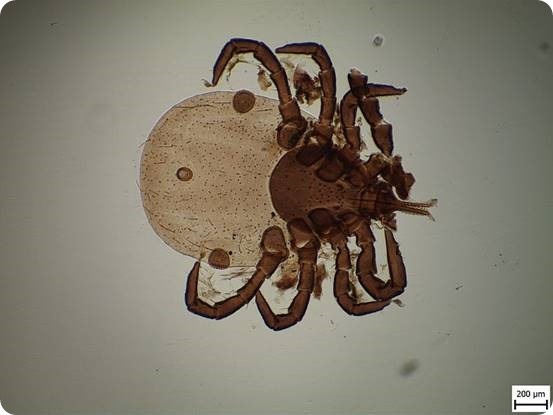 After Borrelia and Rickettsia, C. Neoehrlichia mikurensis it is the most-common tick-borne pathogen. There is a high likelihood that ticks are co-infected with Borrelia and CNM. There is also a seasonal-pattern in infection among rodents and ticks but this pattern depends on the country. Interestingly, the height of infected rodents is found in Germany in August, Sweden in September and the Netherlands in October. As mentioned above, the vectors of CNM are ticks transmitting the pathogen to their hosts, i.e. rodents and humans, via bite. In addition, there is a difference between the Asian and European CNM genotypes. As infected ticks and rodents have also been detected near large cities like Berlin, Budapest, Guangzhou and Zurich, large populations may be at risk of CNM infections. Due to various diagnostic limitations, it is assumed that a high number of CNM infections is missed. C. Neoehrlichia mikurensis could be detected in blood and bone marrow but not in cerebrospinal fluids or urine. Furthermore, the genome of the bacterium has not been sequenced yet and the antigens are yet unknown so there are actually no reliable serological assays. The recommended therapy for human neoehrlichiosis is doxycycline (100 mg twice a day), an agent active against intracellular bacteria. Moreover, in some case reports rifampicin (300mg twice a day) was used in case of intolerance against doxycycline. Even if the best agent against neoehrlichiosis has been defined, the optimal length of the treatment is unknown. In a case report from Austria describing the treatment of Candidatus Neoehrlichia species infection in an immunocompetent host, a 10-day course of doxycycline 300mg once daily was successful. An Anaplasmataceae-specific PCR was used for therapeutic guidance providing the optimal duration of antibiotic treatment with doxycycline. 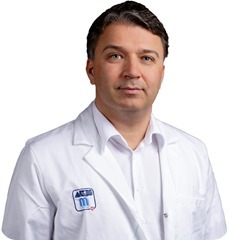 Heimo Lagler is a specialist in medicine and infectious disease & tropical medicine and is working as a consultant, lecturer and researcher as assistant professor at the Medical University of Vienna (Austria). He has graduated in 2010 with a Diploma in Tropical Medicine (Bernhard-Nocht Institute, Hamburg, Germany) and 2014 with a Master of Public Health (Thesis “Hepatitis E Virus Seroprevalence in Austrian Adults: A Nationwide Cross-Sectional Study” at the Medical University of Vienna). In the year 2016 his group published a dispatch about “Anaplasmataceae-Specific PCR for Diagnosis and Therapeutic Guidance for Symptomatic Neoehrlichiosis in Immunocompetent Host“ in the top journal Emerging Infectious Diseases (doi: 10.3201/eid2202.141762). Wenneras C. Infections with the tick-borne bacterium Candidatus Neoehrlichia mikurensis. Clin Microbiol Infect 2015;21:621-30. Li H, Jiang JF, Liu W, et al. Human infection with Candidatus Neoehrlichia mikurensis, China. Emerg Infect Dis 2012;18:1636-9. Schwameis M, Auer J, Mitteregger D, et al. Anaplasmataceae-Specific PCR for Diagnosis and Therapeutic Guidance for Symptomatic Neoehrlichiosis in Immunocompetent Host. Emerg Infect Dis 2016;22:281-4. Skovbjerg S, Welinder-Olsson C, Kondori N, et al. Optimization of the detection of microbes in blood from immunocompromised patients with haematological malignancies. Clin Microbiol Infect 2009;15:680-3.
von Loewenich FD, Geissdorfer W, Disque C, et al. Detection of "Candidatus Neoehrlichia mikurensis" in two patients with severe febrile illnesses: evidence for a European sequence variant. J Clin Microbiol 2010;48:2630-5. Glatz M, Mullegger RR, Maurer F, et al. Detection of Candidatus Neoehrlichia mikurensis, Borrelia burgdorferi sensu lato genospecies and Anaplasma phagocytophilum in a tick population from Austria. Ticks Tick Borne Dis 2014;5:139-44.